Just leaving San Diego from a fun filled 4 days of surf, shows and great people! Reminder that I will be having a show and book signing with Susan Wickstrand Roche this evening from 6-9 pm Friday August 15, 2014 at Bliss 101 in Encinitas! Free and open to all, hope you can come by! 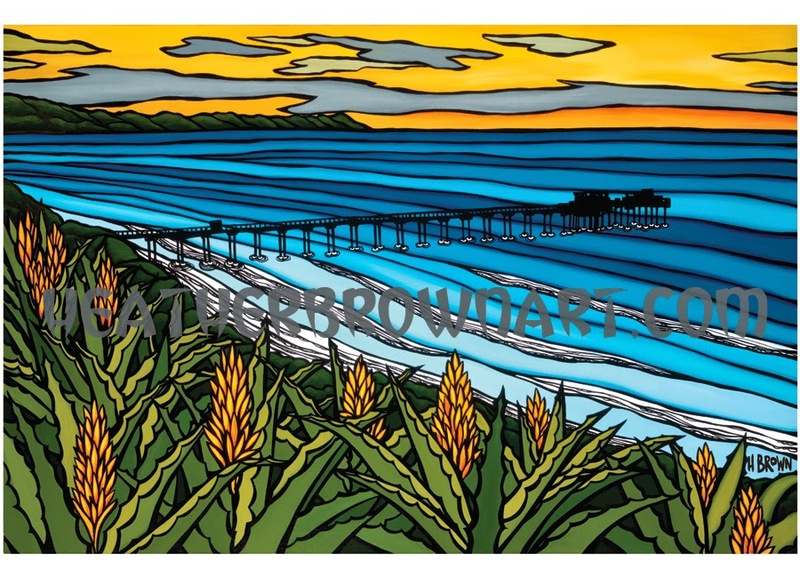 Today is also the worldwide release day of my first ever published California image "La Jolla Sunset"
The original "La Jolla Sunset" piece that I created for the 2014 UCSD Moore's Cancer Research Center Longboard Luau and Legend of Surfing Invitational happening on August 17, 2014 in La Jolla, California!